We’ve been hard at work shipping features you’ve been asking for. With so much going out, from quick quotes to our new backend create quote functionality, we wanted to do a quick round-up of all the new features so you can pick and choose the right plan for you. Read on to learn about each and every one. Initiate new quote from the backend is now available for Propoza. 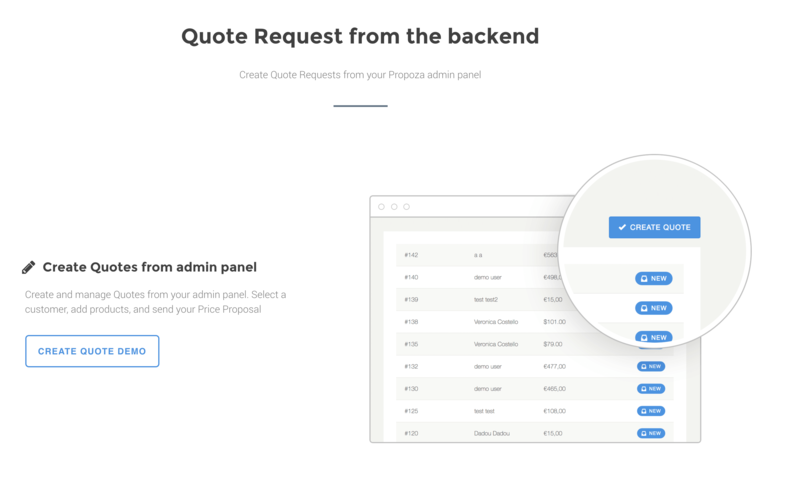 To help merchants who frequently receive quote request via email and phone, we’ve added the feature to create new quotes from scratch via the backend of your e-commerce platform. For a walkthrough with images, please go to our official announcement of the feature here. 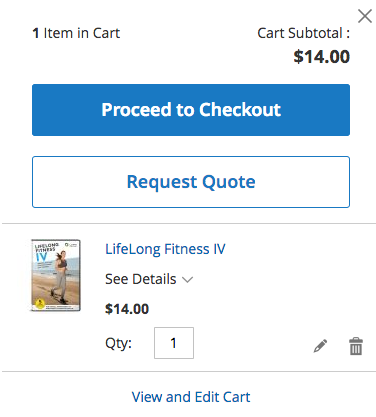 Propoza already does support modifying the catalog prices directly in a quote. Propoza now also supports adding additional products, removing or replacing products in a quote and changing the requested quantities. This much-requested feature has finally been added. Even wanted to know how much you are earning with Propoza? Enjoy the brand-new quote performance dashboard. The new dashboard shows the total number of quotes received, the number of unanswered quotes, accepted quotes and declined quotes. 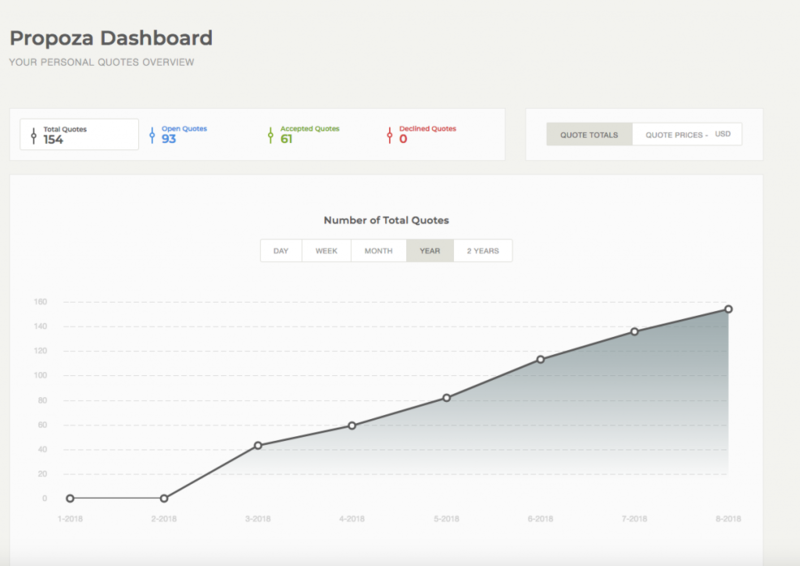 You can easily switch between the number of quotes or the monetary value in your Propoza dashboard. An absolute killer feature for stores that want to lower the customer interaction threshold to an absolute minimum. Straight on your product page, the customer opens the Ajax pop-up quote submit form, enters a minimum of customer data and send his request for your price. Another method to help you convert visitors into customers. 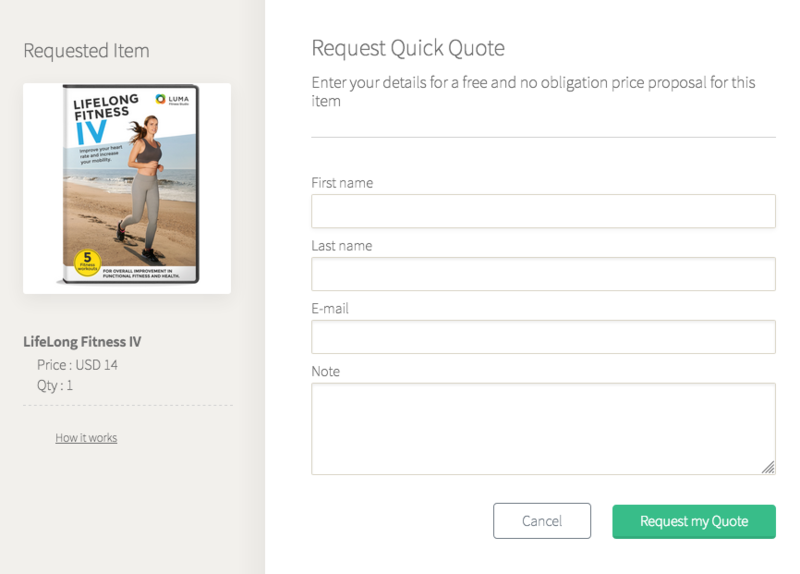 The mini-cart now also contains the quote button, opening the quotation request pop-up for a customer wanting to submit their complete shopping cart as a quote request. If you’re new to Propoza, sign up for a Propoza account. Already a Propoza customer? Check out the required plan for your desired feature. Have more specific questions about this post? Reach out to via support@propoza.com to get the information you need.